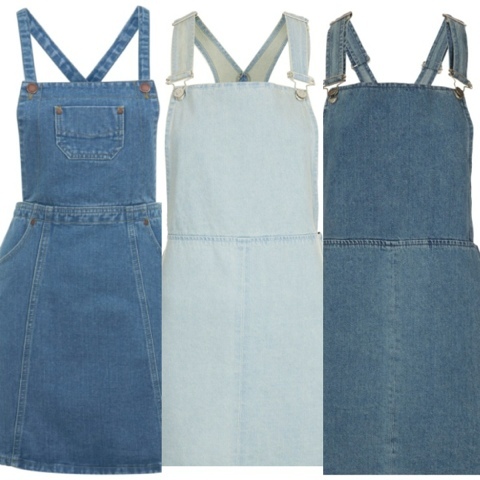 Whatever you want to call them - pinafore dresses, dungy dresses.. Basically just dungarees that turn into a dress instead of shorts/trousers, are all in at the minute. 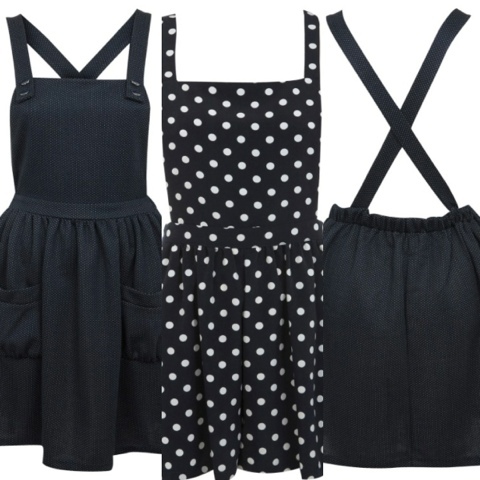 As well as different styles of pinafore not involving denim, usually black (as monochrome is all in again as well, yay!) I absolutely LOVE them, and I tried so many on today I'm just so torn between so many. 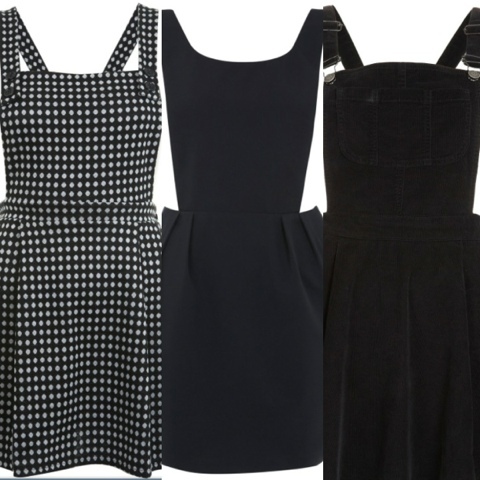 Topshop and Miss Selfridge especially sell some absolutely gorgeous ones; all of the pinafore's in the photos are from Topshop and Miss Selfridge. 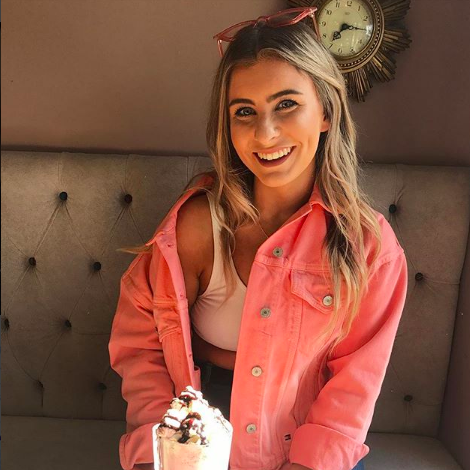 The average price is around £40, I think this is my favourite spring/summer trend so far, I will definitely be buying some as soon as I find one I absolutely adore! What do you think of these? What would you suggest to wear them with?